After a walk through the wineyards we cross the French border. 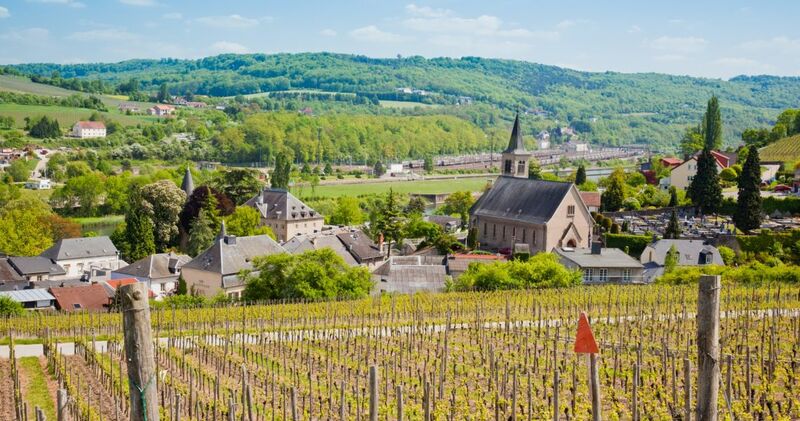 There we enjoy a beautiful view over several villages and the castle of the „Ducs de Lorraine“. After the descent towards the Mosel we hike along until Sierck-les-Bains. There a refreshment is proposed. Afterwards we cross the french-german border, to finally get back to Schengen (Luxemburg) and the "European Centre".